Want to make your brand distinct? Consult the experts. Ensures flawless migrating of data across different platforms. For a hawk-eye view into Business Intelligence and Big Data. The visionaries behind next-generation automation. Looking for end-to- end customized solutions? Here's where you start. Building robust and efficient ERP platforms. At Tagmatix, we take an innovation-led approach, helping our clients to "imagine and invent", enabling global enterprises to make their operations more efficient and effective, while unleashing new potential across their processes. By connecting us with tech-savvy and competent candidates, Tagmatix has helped us attain tangible results. Leading in the data services market points to continuous upgrades in technologies. By partnering with Tagmatix , we reached significant returns on our digital investments. Undoubtedly, it was the best strategic decision we took! You always need someone "like yesterday". Traditionally, Business Analytics and Business Intelligence vaguely meant collecting statistical data for creating standardised reports, while predictive learning was seen to be a long vision strategy. At Tagmatix, we hone passionate professionals who understand that Business Intelligence is needed to run the business, while Business Analytics is needed to change the business. The digital landscape is characterised by 'smart' machines that work on Artificial Intelligence. Being trained in the hardware and/or software of these smart machines is not enough. It is only through the system of complex algorithms called Machine Learning, that machines continue to grow smarter. And none of this is in the unforeseeable future. Increased demand for Robotics has brought about the Internet of Things which focuses on machine-to- machine communication today. Tagmatix is at the intersection of all these developments, helping you gather the right data and leverage it as per your requirements. The marketplace today is a very dynamic space where technologies are constantly being developed, often to be replaced by newer, agile ones. This exponentially increases the demand for an excellent, efficient and adaptable workforce that is fluent with the existing platforms and curious about the new. Our experts at Tagmatix are aligned to understand and meet client requirements for every industry at every level. From identifying the right candidates, assessing their technical know-how, qualifying their experience and knowledge, to finally recruiting them, we provide complete and first-class staffing solutions. A motivated workforce that is committed to the growth strategy provides a solid foundation to the organisation. But that's not all. Just as every ship needs a captain, every organisation needs a leader who can lead not only by thought, but also by action. A good leader weathers storms and still waters at equal ease, maintaining their composure and inspiring their workforce to do the same. Our team of expert consultants at Tagmatix employ the combined use of critical and in-depth comprehension of the role, investigative market research and centralized networking for leadership hiring. Our exclusive approach will ensure that the candidate and the role are the right match. Connect with us today to hire the right candidates to lead your organisation. Designing teams for emerging technologies is competitive – and it isn't getting easier. Our Training and Deployment model is customized so as to match your demands for quality professionals with the desired technical skills. We assist enterprises in reducing costs for training and deploying the right candidate ensuring efficiency, better control and resource utilization. You hire and we train. You hire from our database of trained resources. Zero overhead cost towards training and deployment. Increase in efficiency and better staff utilization. Tested and structured deployment processes. Centralized planning, assessment, management and monitoring. Efficient scheduling, tracking and data collection. Expert knowledge transfer and handoff. Oscillating business cycles, evolving customer demands, increasing global requirements, need for specialized expertise, expanding budget pressures – these are just a few notable challenges companies face when trying to effectively rebadge their talent. Whether it's recruitment for peak-demand periods, handling backlogs, processing transactions, performing expert analyses or managing data clean-ups, our global recruiting networks with their far-reaching expertise are here to assist you. 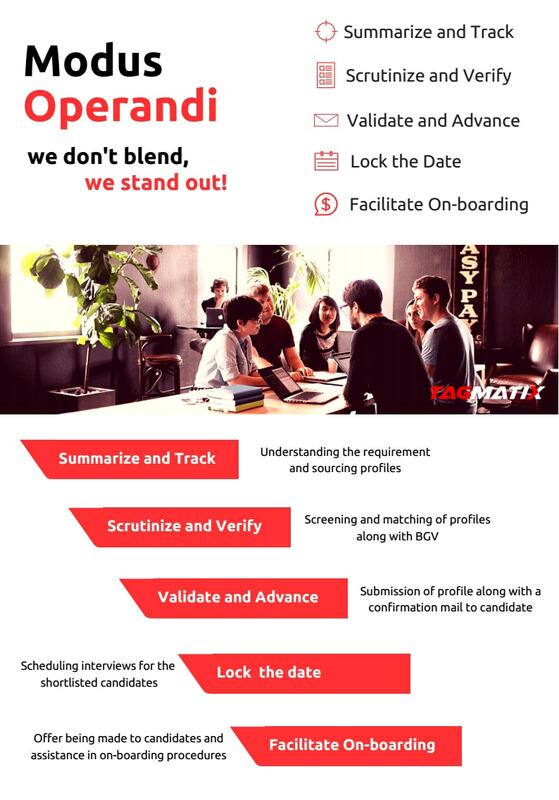 Staffing solutions from Tagmatix are flexible by design through which direct oversight of the staff can be maintained. With several options for delivering solutions, Tagmatix provides skilled talent through offshore, nearshore or onshore models. Alternatively, your existing staff can be rebadged as Tagmatix employees, while you continue to direct their day-to-day activities. Talented and skilled resources across countless F&A disciplines. Access to onshore and offshore talent pools (with no commitments) at a competitive pricing structure. Rapid transition capabilities – quick ramp up/down, with award winning transition methodology. Skillful management of time-sensitive transition requirements. Ability to deliver high-impact process improvements and advanced technology integration. Unique recruiting capabilities – flexible and customized to suit client requirements. Rigorous hiring standards with background checks to client specifications. Expert project management methodologies to minimize transition risk. Relationships maintained with your current internal and external business partners. Support in over 10+ countries around the world. Throughout the history of the recruitment industry, decisions have been based on market trends and industry insights. Partnering with the right recruitment partner can add immense business value, even transforming the business entirely. Through diversified recruitment and workforce management solutions, Tagmatix has made a global name for itself. We bring expertise in delivering solutions to the toughest challenges, while helping change the dynamics of Small, Medium and Large Enterprises through continuous innovation, execution, and transformation. We are driven by a passion to guide organizations build stronger, agile and more creative businesses. Constantly evolving through thought leadership, Tagmatix has distinguished itself from its peers in both Vision (understanding customer challenges and needs with a no-procrastination approach) and Solutions (top-of- the-line execution and delivery) for its customers. What makes us different is our ability to truly understand the uniqueness of our client's businesses, cultures, and most importantly, challenges. By recognizing that each business is truly distinct, we combine our capabilities to invent, develop, and deliver innovations for clients to scale them faster. 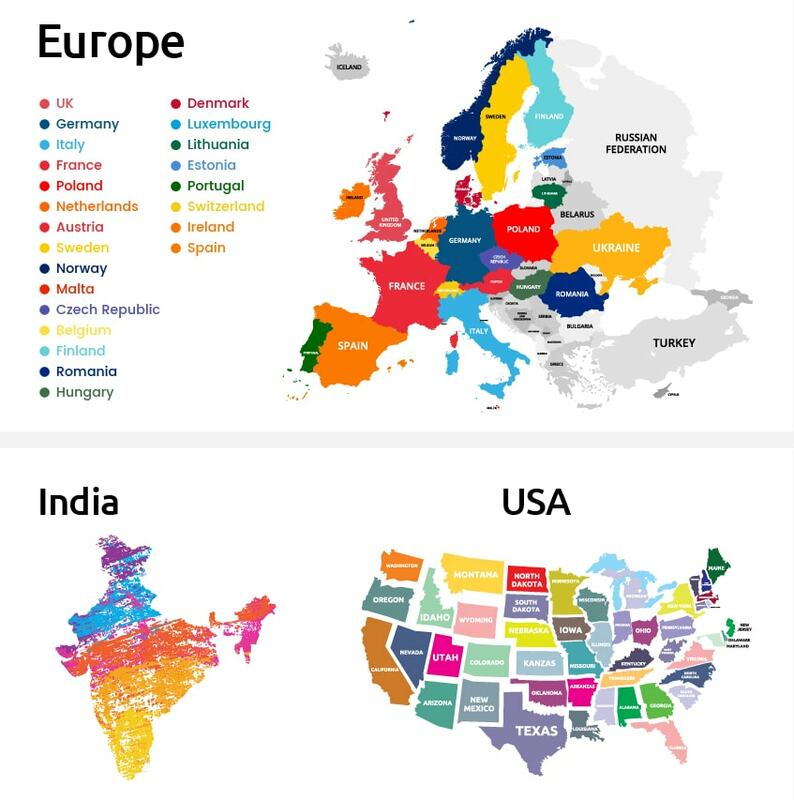 With our extended global presence and expertise, we at Tagmatix360 aim to become the trusted end-to- end IT partner for our clients worldwide. Our motto in enriching customer experience is PRICE. P – Passion – Our passion to understand business needs and cater to them accordingly. R – Relation – Ensuring client satisfaction for evolving trustworthy relationships. I – Integrity – Teams embedded with strong morality and disciplined attitude. C – Candid – Unbiased and straightforward approach with the best practices. E – Ethics – Principles transcending boundaries building Transparency and Trust.